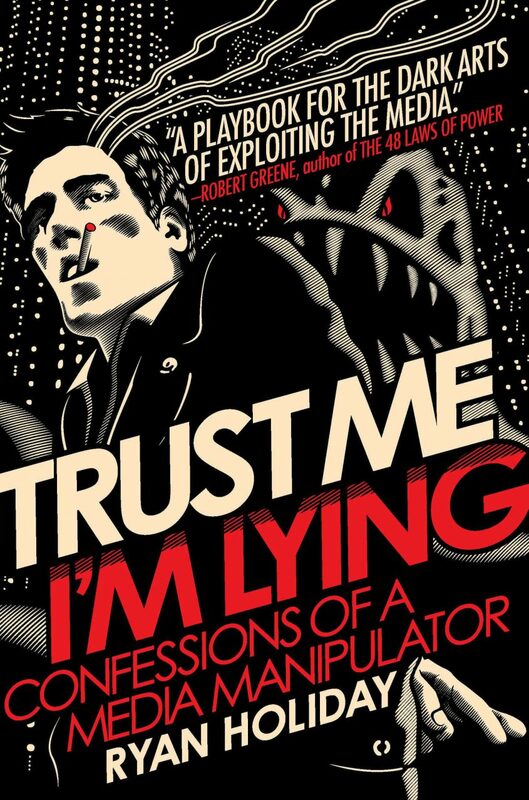 Trust Me I’m Lying is an interesting book that contains the confessions of a media manipulator, who claims to have grown tired of the current media system. It covers the basics of how media manipulators play the media and why the current media system is so vulnerable to these methods. The book explains such things as how news spread in today’s society, and how to plant a seed of lies that will grow until it reaches mainstream media. Grossly simplified, you should start by planting the lie in smaller blog. As they start to write about the lie you can start citing the small blog in your anonymous tips to slightly bigger blogs. Soon enough, this will run out of control and eventually reach big newspapers. You can do a lot of other things to amplify the message you want to spread. One such thing could be to edit a related wikipedia article. The big problem here is that the bloggers and journalists actually have big incentives to not dig too deep into the validity of the news. Their goal is to generate as much traffic as possible and thus they want as spectacular news as possible. Most of the time they think it is enough research to see that someone slightly less credible has written about it. Thus a lie can propagate to the top of the media chain. Even if the news turns out to be wrong, they can just update the article or even better: write a new article about it. All this just generates even more traffic to the newspaper or blog. This has fueled the rise of the speculation journalism seen today, where journalists publish first and verify later. It is much easier to write a sensational article if you don’t actually reach out to the source. Of course, there are also parts on what type of news that spread. So if you want free publicity you should aim for something that riles up emotion in the reader, preferably anger. This is extremely visible in today’s media where a lot of things are written to polarize as much as possible. The book ends by giving the reader tips on how to spot media manipulators and be extremely skeptic to “leaks” and “sources say”. It is time to put on your foil hat! For those of you that have high trust for the media in general, this book can be quite eye-opening. For the rest of us, the book brings more of a confirmation of the depressing state of the media today. Overall, a very interesting book.